"The market in our area is at historic highs. It gets higher every week, and the numbers of cattle get shorter every week. It's a great time to be in the cattle business," said Producers Livestock Marketing Association Greeley, Colo. 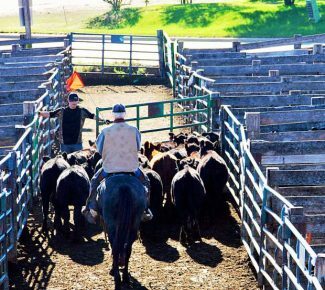 Branch Manager Brad Jones of the fact that ranchers across the region are receiving more for all classes of cattle than has ever been seen before. It's not just feeders and fats hitting record highs. Bred cows, pairs and replacement heifers are also garnering unheard-of prices going into spring. 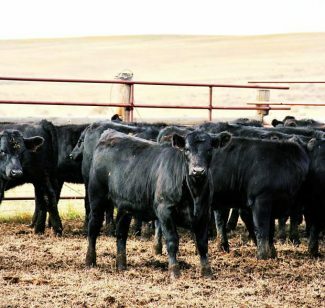 Young bred cows are increasing in price at a rate of $100 a week at some livestock auctions, and Sioux Falls Regional Livestock's Tom Donohue said there is the potential for heifer calves to out-price steer calves going into fall as producers in western states continue rebuilding numbers. While the sharp upswing in prices across all classes and weights has been impressive, cull cows and bulls are the area of the market that has recently surprised Jones most. "It's insane how high these cull cows and bulls have gotten. We had a bull this week weighing 2,000 pounds bring $131.50/cwt, and good cull cows are up to $113.00/cwt. That tells us packers are moving meat and need a lot of it, and that there isn't a lot available right now," he said. Sioux Falls Regional Livestock Market in South Dakota has also seen surprisingly high prices, with fat cattle topping out at $152.00/cwt and increasingly aggressive bidding on feeder cattle as grass season nears. 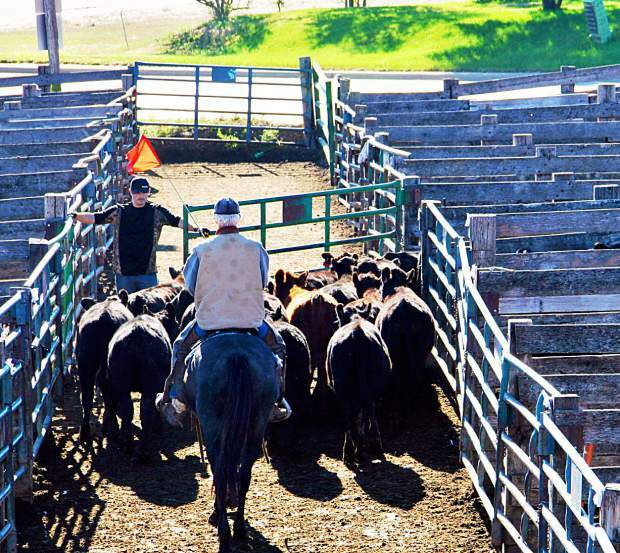 "People have been aggressive in both moving and bidding on grass cattle so far, and I think we may see that demand and price go even higher yet. However, there is still quite a spread between green and fleshy calves – between $10 and $14 a hundred. For example, last week we had some black/black baldy steers weighing 701 that brought $196.50, and some 709 pound black steers that brought $188.00/cwt. I believe that spread will stay in place, even as prices for feeder cattle as a whole continue to climb," said co-owner of Sioux Falls Regional Livestock Tom Donohue. The combination of record low cattle numbers and significantly reduced feed costs compared to the recent past are large contributors to the current high prices in Donohue's opinion. "Marketing of fed cattle is down eight percent in South Dakota compared to a year ago – we are at record lows. But, South Dakota cattle on feed numbers as of March 1 are up four percent from a year ago, with feedlots housing a capacity of 1,000 head of more reporting 240,000 total head. That would be those feeder cattle being bought and put directly on feed as a result of lower grain prices," explained Donohue. He continued, stating he expects fats to level off, and possibly drop slightly to the mid $140's/cwt in the next couple months, resulting in a much brighter breakeven picture for the feeder when combined with four dollar corn than has been seen in the recent past. Jones echoed Donohue on both the feeder and fat markets, noting that pushback from the boxed beef side of the industry is expected if fats make another jump in price. "It also looks to me like there will be a hole in the feeder cattle buying situation coming real quick for April and May as a result of those California producers selling their numbers last month and right now due to drought – which is early for them," stated Jones. Going into summer and even the fall run, prices are expected to remain at historically high levels. Jones said that the dry conditions down south heading into spring could result in them selling yearling cattle in June and July, further enhancing the demand for calves in the traditional fall run months. "The only thing that could change this market is a disaster of some kind outside the ag industry. Something that would affect the stock market and economy as a whole that we had no warning of. Other than that, if things are left to regular supply and demand of cattle, this market should remain very strong through the summer and well into fall," said Donohue of his confidence in the long-term viability of high cattle prices. However, Jones stated concern over potentially pricing beef out of the general consumer's diet, both domestically and abroad. "Who can afford to eat our product right now? We have to be careful when competing with pork and poultry, and they're currently at way different numbers than beef is. Also, if our exports hiccup for some unforeseen reason, you're going to see this thing go down real quick. Right now exports are strong and consumers are buying beef, but we have to keep that in mind," he said. As for advice to producers, the same concepts of working within a comfort zone and protecting a price level that secures profit still apply when dealing with bigger numbers. "We are into uncharted territory price-wise, and naturally there is a little fear factor on this market holding up and paying those high prices, both for feeders, and then for the feeder trusting fats will stay high. It sure looks like everything will remain very good, and if you look at feed prices and want to take on more risk to finish cattle this year, that makes sense to me. But, if you're worried about it, the money is really good right now too, and if you decide to sell today there is still a tremendous profit to be made," stated Donohue. Jones added his recommendation of locking in current prices to reduce the risk associated with waiting until the time of year when a producer traditionally markets. "Find a way to get your livestock contracted – whether it be through hedging, a video sale, in the country, through something. It's never been this good and you should take advantage of that," he explained. Regardless of when and how producers market in 2014, they are likely to have a smile on their face when it's over.